There is encouraging news for some prospective homeowners with a Northeast Florida foreclosure in their recent past: more common sense seems to have entered the picture. The financial crisis that began in 2007 caused global disarray: across the U.S. (and Northeast Florida was no exception), large numbers of responsible homeowners were clobbered by the fallout, often finding their incomes suddenly reduced or even obliterated as business cutbacks and closings reverberated through the economy. The Northeast Florida foreclosure rate jumped as a direct result—and it’s taken quite a while for the effects of that to work through the system. But even after the economy has resumed something like normal activity, more than a few local residents have found themselves having to deal with how a Northeast Florida foreclosure on their record dims their home ownership prospects. Even if the reason for the Northeast Florida foreclosure was due to circumstances beyond their control—and even if they had recovered enough to now be able to service a home loan—many found that qualifying for a mortgage with reasonable terms was difficult to impossible. That was bad for everyone, and the effect on the market was such that the Federal Housing Administration decided to address the problem in specific situations. For those who qualify, it can make the availability of a normal home loan newly possible. The idea was to enable FHA backing for borrowers who could show that their Northeast Florida foreclosure or bankruptcy was caused by external economic factors. With few exceptions, borrowers had not previously been eligible for an FHA loan until two or three years after a foreclosure. Exceptions to that rule were granted only if the death of a spouse or medical emergency had caused the forfeiture: now “loss of income” was added as an extenuating circumstance. It means a much swifter rehabilitation. For those who can demonstrate that a job loss, pay cut, or decline in business income caused their Northeast Florida foreclosure, the previous years-long waiting period may be waived. 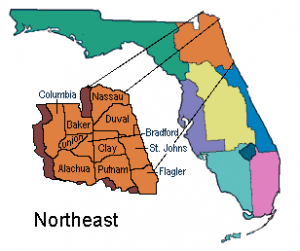 There are other details that can affect any individual applicant’s eligibility—and the guideline change is temporary—but overall, the recognition that the Great Recession was the true cause of many an Northeast Florida foreclosure does seem to be a fair accommodation. In the wake of a foreclosure, you’d expect it to take more work to arrange a new home loan, and that’s the case. But the good news is that for those who qualify under the widened eligibility guidelines, they are increasingly likely to be able to obtain a new home loan—even following a recent foreclosure in Northeast Florida. Whether or not that is your situation, if you’re looking to buy a home this summer, Step One is to get pre-qualified. I’m standing by to help get the process rolling!